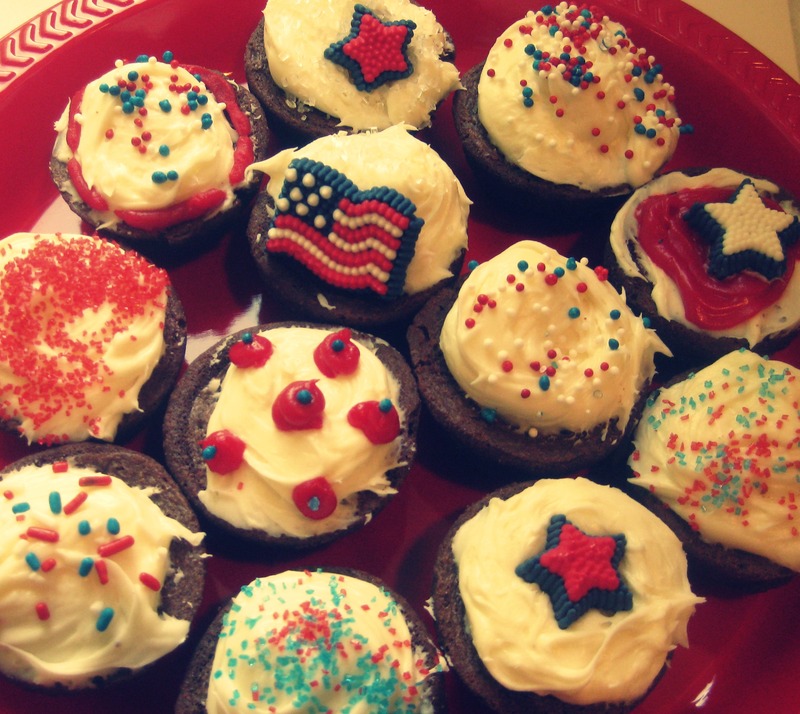 Looking for an easy, festive treat to bring to a 4th of July party? All you need are store-bought brownie bites, frosting and sprinkles! I brought these to a BBQ last year and they were a hit! Add a dollop of frosting (cream cheese is always a good choice) to each brownie bite. Top with red, white and blue sprinkles. You can also use edible cake decorations, such as the stars and flags shown above. Enjoy!